Students at Centaurus High School produced a talent show consisting of entertaining singers, musicians, comedy actors, and even jump roping, juggling, and Chinese ribbon dance acts. 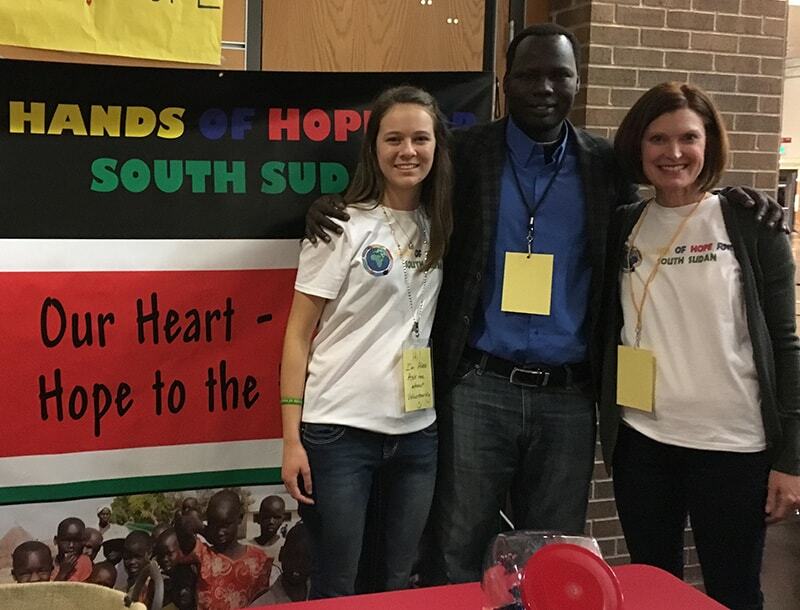 Hands of Hope for South Sudan Co-Founders, Deanna Chilton and Daniel Duol kicked off the show with a brief address to the audience about the needs of the South Sudanese, the Container Project, and ways to get involved. Hands of Hope for South Sudan is grateful to the wonderfully talented Centaurus students for dedicating their show and all of its proceeds to the Container Project. They raised $1,251.75! Many thanks to event coordinator, Alex Burgess, and all the student, parent, and teacher volunteers, and the donors for making this event a huge success! We love that we have opportunities to educate and partner with the kids in our community who want to make a difference in this world.